What is a TOT? Every year, CenterSource Systems hosts several Trainings of Trainers. The five-day event is for educators who have been trained in the basic, middle, or high school 24 hr. plan, and have implemented and practiced the Tribes process during the course of at least one school year. 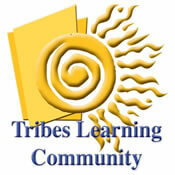 Once trained as a trainer, you are licensed to your board or district to further train the Tribes TLC process. CenterSource is dedicated to hosting a Summer Institute for Trainers every other year, where trainers meet to share, present, and celebrate achievements and experiences in the Tribes TLC world. Currently there are over 1275 Tribes TLC trainers worldwide; Canada has over 300 trainers, and Australia has nearly 150 trainers. There are also trainers in more than 10 other countries and international schools. We are very proud of our trainer network; spending time with like-minded people dedicated to learning and human development is both personal and professional learning and growth. Stay tuned to our website for more information on the 2010 TOT schedule and the 2010 Summer Institute.